The washer is carved from a block of rock crystal decorated with five scrolling lingzhi sprays spreading around the spherical vessel and forming its base. 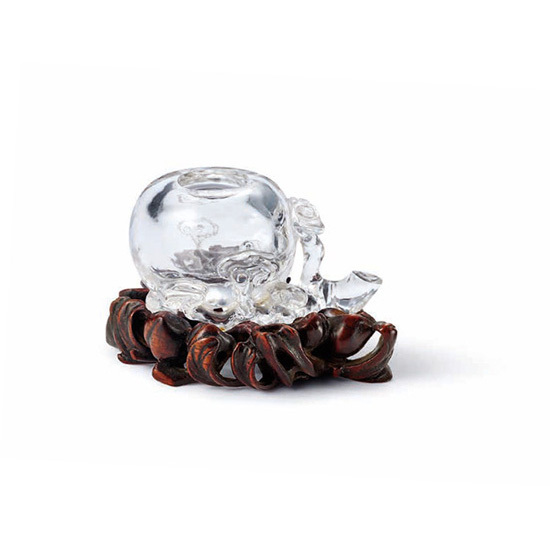 The rock crystal washer rests on a wooden base decorated with peaches and foliage. The lingzhi is a classic rebus for longevity and the lingzhi , ruyi and clouds are homonyms and often interchangeable in Chinese art.